Пластинки оценены после прослушивания и помывки! В некоторых случаях торг уместен!! 1. Anni-Frid Lyngstad 1971 " Anni-Frid Lyngstad " (Sweden) 1-press! Label EMIDISC Kat.№ 4-E048-51017 NM|MINT! 1900 RARE ISSUE!! 2. Agnetha Faltskog 1979 "Tio armed" (Holland) 1-press! Gatefold sleeve, Inner sleeve! + BIG COLOR POSTER!!! NM|NM!! 1500 RARE CONDITION!! 17. Alice 1986 "Gioi Elli Rubati" (Germany) 1-press! NM|NM 750 SUPER ALBUM!! 19. Alice Cooper 1973 "School Days" (England) 1-press! 2-LP, gatefold sleeve,2 antistatic inner sleeve NM|NM 2500 RARE CONDITION!! 37. Bee Gees 1991 "High Civilization" (Germany) 1-press! Inner sleeve MINT! 1200 RARE! 39. Black Sabbath 1970 "Black Sabbath" (England) 1ssue 1973 Label WWA №A006 DELUX Gatefold sleeve, Antistatic English sleeve NM|NM- 4500 RARE ISSUE AND CONDITION!! SUPER SOUND!!! 42. Barclay James Hardest 1981 "Turn Of The Tide" (Germany) 1-press! Inner sleeve MINT! 1000 RARE CONDITION! 44. Barclay James Harvest 1983 "Ring Of Change" (Germany) 1-press! Gatefold sleeve MINT 1000 RARE CONDITION! 45. Barclay James Harvest 1987 "Face To face" (Germany) 1-press! Inner sleeve NM|NM 1000! 59. Colosseum 1972 "Live" (England) issue 1987 Label CASTLE, Gatefold sleeve NM|NM 2000 RARE! 64. Chris Rea 1993 "Espresso Logic" (Germany) 1-press! Inner sleeve, Shrink! EX+MINT 4700 MEGA RARE ISSUE!! 69. David Bowie 1967 "Space Odility (JAPAN) 2-press! Inner sleeve EX+-|NM- 1500 RARE!! 85. Donna Summer 1977 "I remember yesterday" (U.S.A.) 1-press! inner sleeve NM|MINT ! 1000 SUPER SOUND!! 87. Dead Or Alive 1985 (Holland)) 1-press! Inner sleeve MINT! 1000 RARE CONDITION!! 88. Dead Or Alive 1987 "Mad, Bad, And Dangerous To Know" (Canada) 1-press! Inner sleeve Sticker!, Shrink! MINT! 1200 RARE CONDITION!! 93. Elton John 1992 "The One" (Holland) 1-press! Inner sleeve NM|NM- 2000 RARE!!! 97. Eurhythmics 1981 "In The Garden" (Germany) 1-press! Inner sleeve MINT! 1300 MEGA RARE ISSUE AND CONDITION! 104. Eloy 1977 "Ocean" (Germany) 1-press! Gatefold sleeve, MINT! 1900 RARE CONDITION! 105. Eloy 1978 "Live" (Germany) 1-press! 2-LP, Gatefold sleeve, NM-MINT! 1900 RARE CONDITION! 117. Eric Clapton 1970 "Eric Clapton" (England) 1-press! NM|NM 2000 RARE! 122. Foreigner 1979 "Double Vision" (U.S.A.) 1-press! Inner sleeve MINT!! 1200 RARE CONDITION!! 128. Free 1970 "Fire and water" (France) 1-press!! Label ISLAND Logo "!" Kat.№ ILPS 9120 EX|EX 2000 RARE!!! 134. Georgio Moroder 1985 "Innovisions" (Germany) 1-press! MINT!! 2000 MEGA RARE!! 144. Ian Anderson 1983 "Walk into light" (Germany) 1-press! Inner sleeve, YELLOW TICKER!! MINT!! 1000 RARE CONDITION ! 153. Jefferson Airplane 1989 " Jefferson Airplane" (U.S.A.) 1-press! FACTORY SEALED!!! 1700 MEGA RARE !! 155. Jana Bitchevskaia 1984 "Chansons Populares Russes" (France) 1-press! Gatefold sleeve MINT!! 3000 RARE ISSUE AND CONDITION! 161. Julio Iglesias 1975 "El Amor" (Spain) 1press! gatefold sleeve MINT|NM 1000 RARE! SUPER SOUND!! 166. Human League 1984 "Hysterias" (Germany) 1-press! Gatefold sleeve, Inner sleeve, Sticker! MINT|NM 800 RARE CONDITION! 168. Hep Stars (EX-Abba) 1969 "Pa Svensksa" (Sweden) 1-press! laminate cover NM-|EX+ 900 RARE! 170. Hustle & Bustle 1987 "P4F" (Sweden) 1-press! Label BEAT BOX NM|MINT!! 1700 RARE ISSUE!!! ITALO DISCO! 172. Kim Wilde 1988 "Close" (England) 1-press! Inner sleeve NM|NM 1400 RARE ENGLISH ISSUE AND CONDITION!! SUPER SOUND!!! 181. Lisa Stansfield 1991 "Real Love" (Germany) 1-press! Inner sleeve MINT |NM 1000 RARE CONDITION! 182. Luv 1981 "Forever Yours" (Finland) 1-press! Shrink! NM-|NM 800 RARE! 183. Livin Blues 1973 "Ram Jam Josey" (Germany) 1-press!! EX+|NM 5500 RARE!! 187. Marie Fredriksson (Roxette) 1984 "Den Sjunde Vagen" (Sweden) 1-press! Inner sleeve MINT!! 900 RARE CONDITION COVER AND VINYL!! 190. Mike Oldfield 1987 "Island" (Germany) 1-press! inner sleeve MINT!! 1000 RARE CONDITION!!! 193. Manfred Mann's Earth Band 1982 "Somewhere In Africa" (Germany) 1-press! 2 inner sleeve MINT! 1200 RARE CONDITION! 198. Metallica 1984 "Ride The Lighting" (Holland) 1-press! Inner sleeve, LABEL VERTIGO SPACE SHIP NM-|NM- 4000 RARE ISSUE!! 199. Metallica 1986 "Ride Master Of Pipers" (Holland) 1-press! Inner sleeve, LABEL VERTIGO SPACE SHIP NM-|NM- 4000 RARE ISSUE!! 200. Metallica 1988 "...and justice for all.." (Holland) 1-press!!!! 2 Inner sleeve, 2 antistatic inner sleeve MINT!! 6000 MEGA RARE ISSUE AND CONDITION COVER AND VINYL!! 209. Nat King Cole "I Remember" (U.S.A.) 1-press! NM-|NM 800 RARE! 211. Ofra Haza 1987 "Fifty Fates Of Wisdom" (U.S.A.) 1-press! gatefold sleeve MINT! 1200 RARE ISSUE! 212. Ozzy Osbourne 1993 "Live & Loud" (Holland) 1-press!!!! 2-LP , Sticker!, +6 pages color BOKLET! MINT! 9000 MEGA RARE!! 213. Ozzy Osbourne 1991 "No More Tears" (Holland) 1-press! NM-|EX+ 5000 MEGA RARE ISSUE!! 215. Orchester Anthony Ventura 1979 "Le Taime 8" (Germany) textured cover, inner sleeve NM|NM 1000 RARE!! 216. Paul Mauriat "Blooming Hits" (U.S.A.) 1-press! NM|NM 1500 RARE ISSUE! 219. Paul Mauriat 1977 "Special Danse" (France) Compilation 1971-1977, Label BLACK PHILIPS 9120252 inner sleeve, NM|NM 5 000 (мегараритетное издание, не представлено даже на аукционах !!) только для серьёзных коллекционеров. Фото вышлю по запросу. 220. Paul Mauriat 1977 "Magic Slows" (France) Compilation 1970-1976, Label BLACK PHILIPS 9120251 inner sleeve, NM|NM 3 000 (мегараритетное издание!) 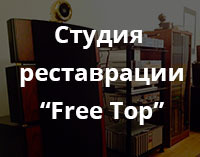 На DISCOGS только одно предложение в состоянии VG+ !!! Только для серьёзных коллекционеров Фото вышлю по запросу. 221. Pupo 1984 "Malattia d amore" (Italia) 1-press! NM|MINT 2000 RARE ISSUE AND CONDITION! 227. Rush 1987 "Hold Your Fire" (Canada) 1-press! hard cover! Hard Inner sleeve! MINT!! 1700 RARE CANADIAN ISSUE AND CONDITION!! 228. Roy Orbison 1965 "The Orbison Way" (U.S/A.) MONO!!!! ! 1-press1 LABEL MGM SE 4322 With RARE STICKER!! NM-|NM- 2500 MEGA RARE CONDITION! RARE!!! SUPER SOUND! 229. Roy Orbison 1969 "Big O" (England) STEREO! 1-press1 Laminate front cover LABEL PURPLE LONDON!! SHU 8406 EX+NM- 1600 RARE!!! SUPER SOUND! 234. Ricardo Fogli 1982 "Compagnia" (Italia) 1-press! Color inner sleeve NM|NM 2000 RARE ISSUE AND CONDITION! 235. Roxy Music 1974 "Country Life" (U.S.A.) 3-press! ISSUE 1982 Diff cover!! NM|NM 1200 RARE ISSUE!! 240. Roxy Music 1980 "Flesh+Blood" (England) 1-press!, Inner sleeve |EX+|NM 1200 RARE! 245. Rod Stewart 1971 "Gasoline Alley" (Canada) 2-press! NM|NM 900 RARE!! 254. Supermax 1977 "World of today" (Germany0 1-press! NM|NM 1800 RARE!! 258. Shocking Blue 1970 "Venus" (Suite Africa) 1-press!! Laminate front cover, Flip-pack! LABEL PRESIDENT Kat. № PRC 6043 EX+|NM 3000 RARE!! 261. Secret Service 1979 "Oh Susie" (Sweden) 1-press! Inner sleeve MINT!! 1800 MEGA RARE CONDITION COVER< INNER AND VINYL!!! 265. Styx 1971 "Styx" (U.S.A.) 1-press! Label WOODEN NICKEL!! 3000 NM|NM MEGA RARE ISSUE!! 269. Steppenwolf 1969 "At your birthday party" (England) 1-press!! laminate front cover, black inner sleeve LOGO ABC DUNHILL RECORDS, Flip-pack!! Label BLACK DUNHILL Catalog № SSL 5011 NM|NM 2500 RARE ISSUE AND CONDITION!! 280. Traffic 1971 "The Low spark of high heeled boys" (Italy) Inner sleeve! ISLAND ORL 19180 NM|NM 1500 RARE ITALIAN ISSUE!! 281. Tom Jones 1971 "She's A Lady" (England) 1-press! Label BLUE DECCA Front laminate cover, Inner antistatic English sleeve STEREO Kat.№ SKL 5089 |MINT!! 1500 RARE CONDITION! 290. The Shadows 1960 "The shadows" (England) MONO 1-press!! Label GOLD GREEN COLUMBIA!!! Laminate cover Flip- pack EX+|VG+ 1000 MEGA RARE! 292. Traveling Wilburys 1990 "3" (U.S.A.) 1-press! inner sleeve MINT! 2000 RARE ISSUE! 295. Toto Cutugno 1981 "innamorata, innamorato, innamorati" (Sweden) 1-press! Inner sleeve MINT!! 1500 RARE ISSUE AND CONDITION!! 299. Uriah Heep 1974 "The Best Of....." (Germany) 1-press! inner sleeve EX+|NM- 1200 RARE! 300. Umberto Tozzi 1979 "Gloria" (Italia) 1-press! Gatefold sleeve, inner sleeve MINT|NM 900 RARE ITALIAN ISSUE!